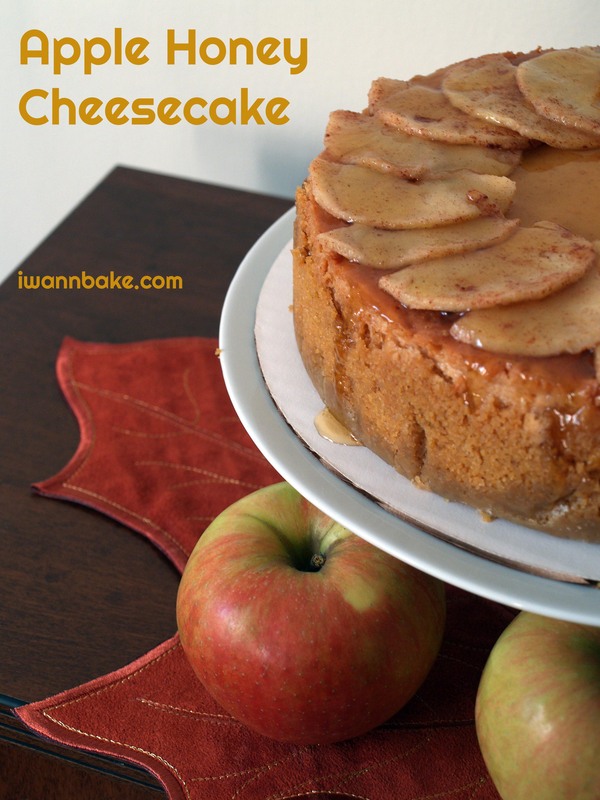 Apple Honey Cheesecake | I Wanna Bake! This cake isn’t really as fussy as it might seem. As I’ve said before, cheesecake really isn’t that hard to get right, as long as you don’t try to shortcut the require steps. Yes, you really should use the water bath, and yes, it really does need to chill overnight before you remove the outer ring of the springform pan. 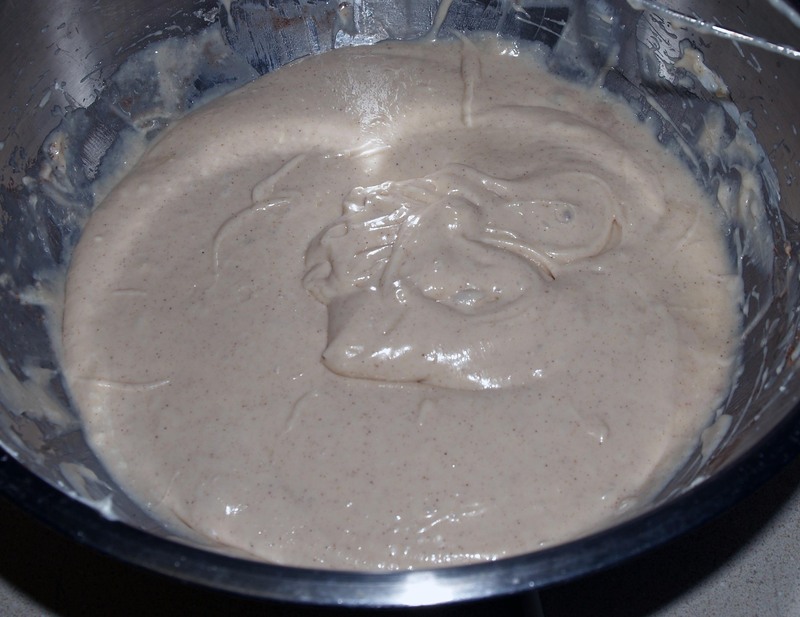 The water bath helps to prevent cracking, and chilling the cake overnight helps it set and solidify in the right shape. Each step is really pretty easy and doesn’t take all that much time. The only thing that might get you is the waiting. 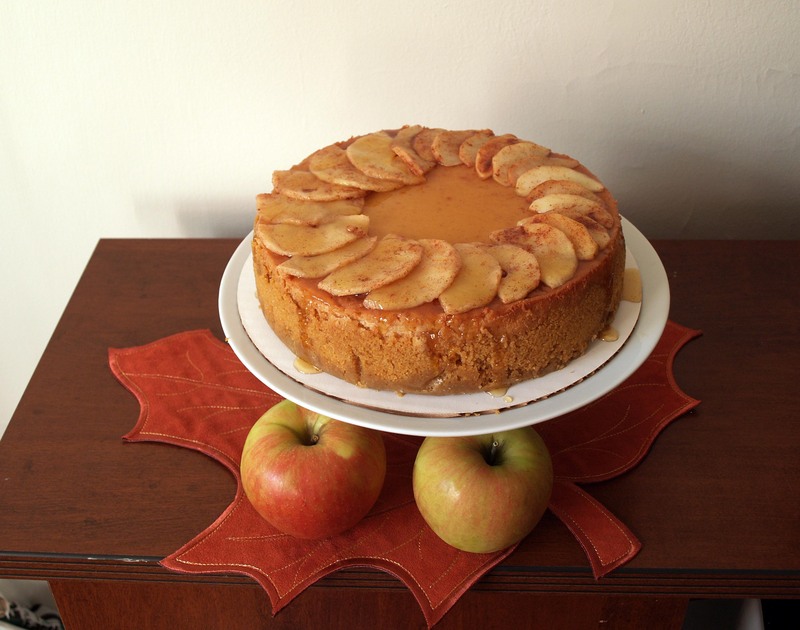 I used Taste of Home’s Spiced Apple Cheesecake recipe as a base because I’ve had good results with it in the past. [You should definitely give the original recipe a try sometime, though you may want to leave off the sauce because it’s not for everyone.] 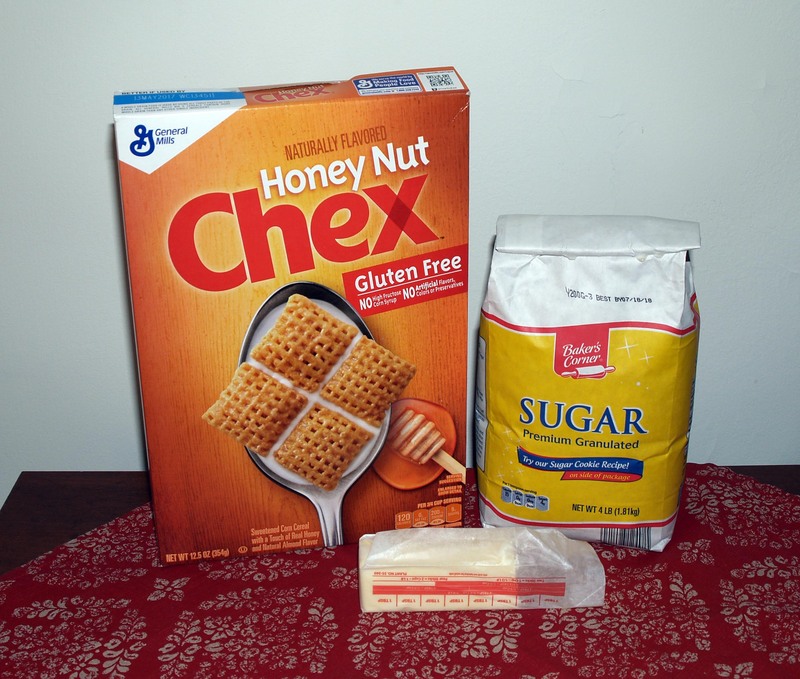 I used some Honey Nut Chex I had around instead of ginger snaps in the crust and replaced the sugar in the recipe with honey. I was afraid that the honey flavor would be too subtle, but my fears were sorely misplaced. This cake tastes assertively like honey, which is exactly what I was hoping for. I also added a layer of apple slices between the crust and the filling for a surprise bit of apple flavor. My original idea was to bake the apple slices into the top of the cake, but I didn’t want them to dry out. Sandwiching them between the crust and the filling avoided this, but it may have added some unwanted moisture to the crust in the process, so feel free to leave out the bottom apple layer and increase the apple topping if you’re worried about a soggy bottom. If you really just want honey cheesecake, you can leave out the apples entirely, but I would encourage you not to do so, as they definitely bring a nice bit of tartness to an otherwise rich, sweet cake. As a side note, we’re almost at the end of my apple extravaganza, I promise. I’m hoping to get something in for Halloween/Day of the Dead, as well as some more general fall recipes while the air is still crisp and the leaves are still pretty. If there’s a fall bakeventure you’d like to see, please do let me know. I’ve been on another Fleetwood Mac kick lately, and it’s been keeping me occupied in the kitchen for some time now. They certainly have an extensive and varied library to choose from, so there’s something for everyone there. Wrap the outside of a 9″ springform pan tightly in aluminum foil and line the bottom with a circle of parchment paper. Prepare your crust according to this tutorial. While the crust is baking, prepare the filling. 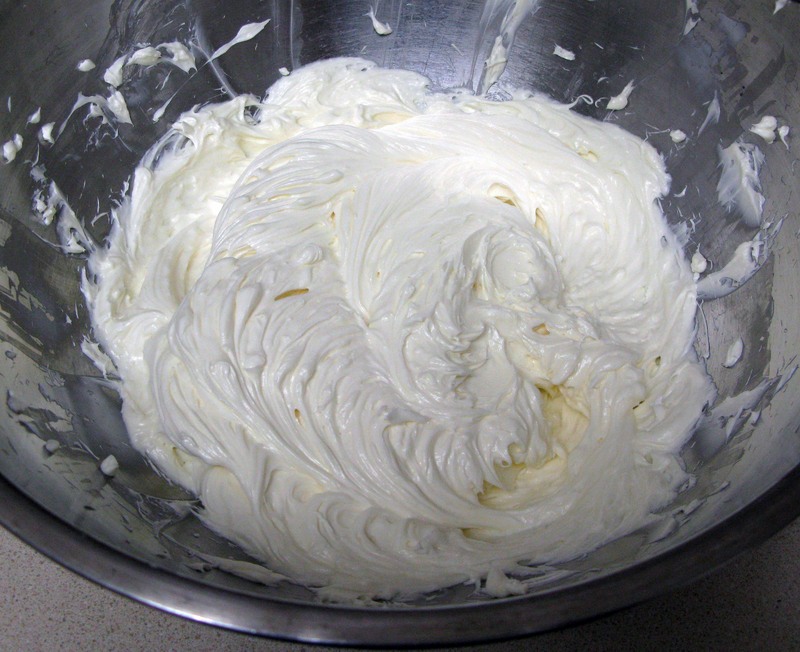 Put the cream cheese in a large mixing bowl and beat it with an electric mixer until smooth and creamy (you can use a stand mixer for this, I just chose not to). 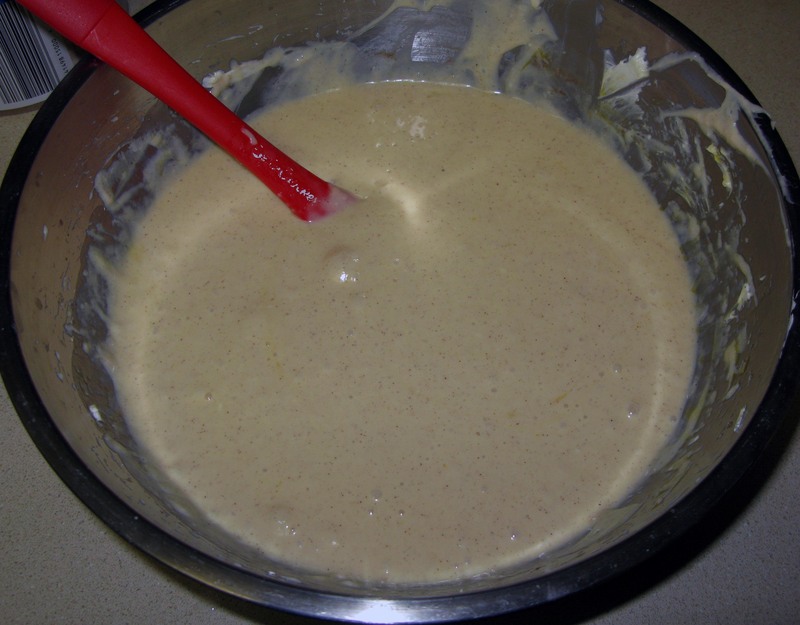 Add the sweetened condensed milk, honey, flour, and cinnamon and beat until everything is uniformly incorporated. In a medium bowl, beat the eggs with a fork just until the yolks are broken and fairly incorporated into the whites. They shouldn’t be frothy at all. 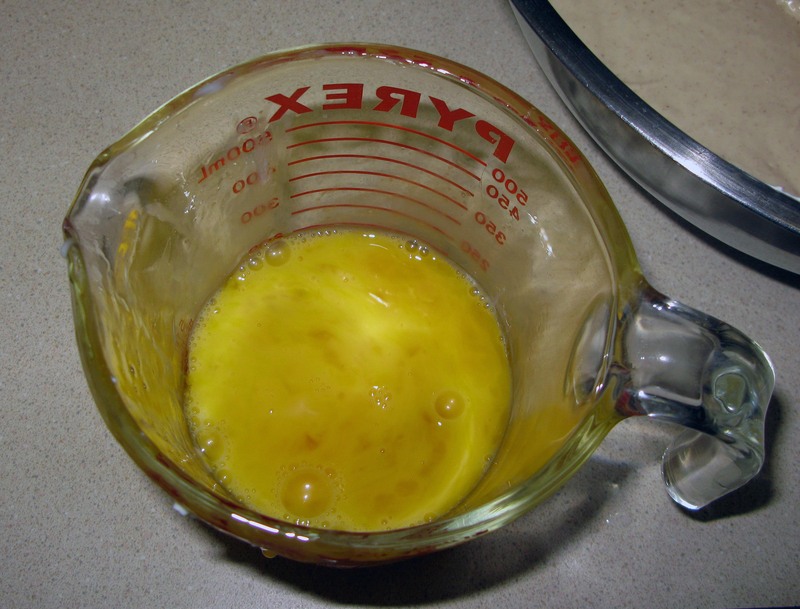 Stir the eggs into the batter until they are just incorporated (there should still be yellow streaks). You don’t want to over-mix because it can lead to cracking. 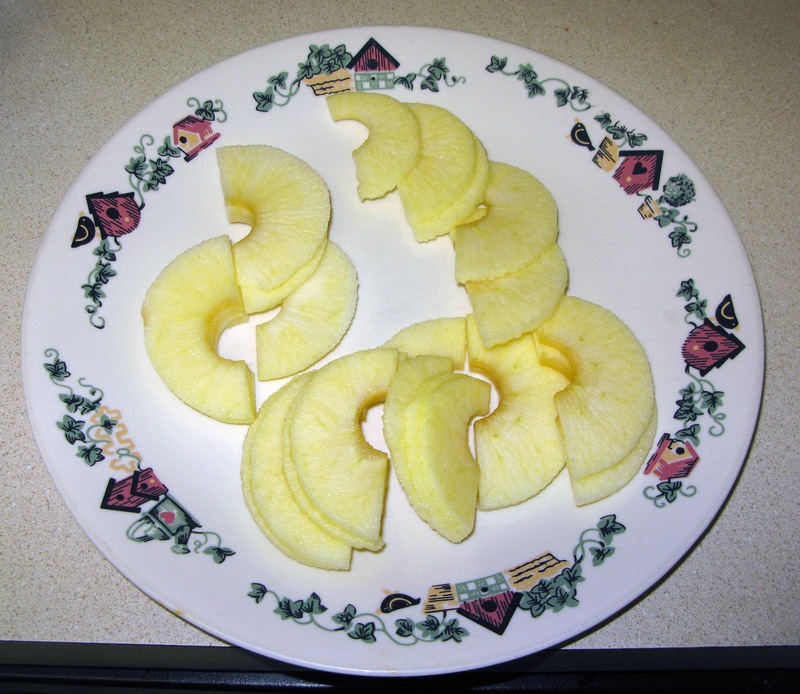 Peel, core, and slice one apple into slices that are at most ⅛” thick. I used a spiralizer attachment for my stand mixer to do this, but you will be able to do it easily enough by hand with a knife or mandoline slicer. Save the remaining two apples for the topping. Cover the bottom of the crust with a single layer of apple slices. This doesn’t have to look pretty because no one will ever see it, but it should still be even. 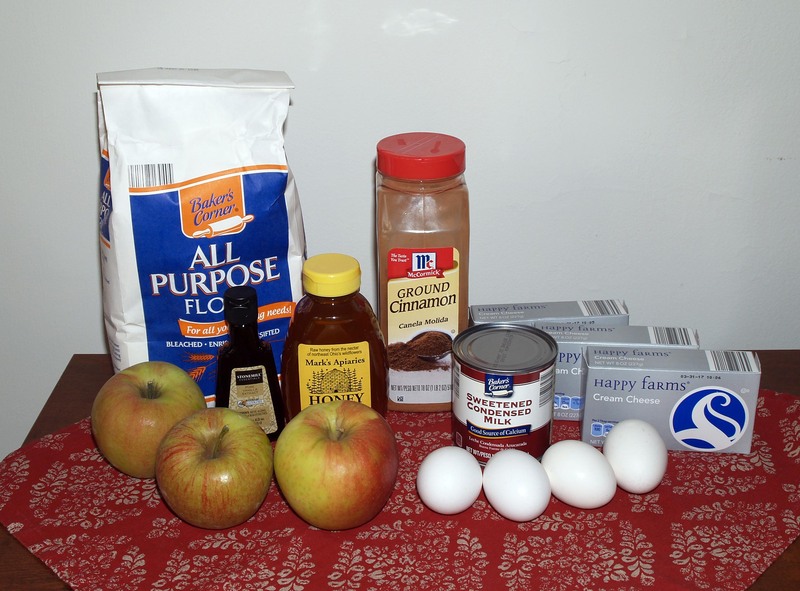 Pour the batter over the apple layer and gently shake the pan to distribute it and shake out any air bubbles. 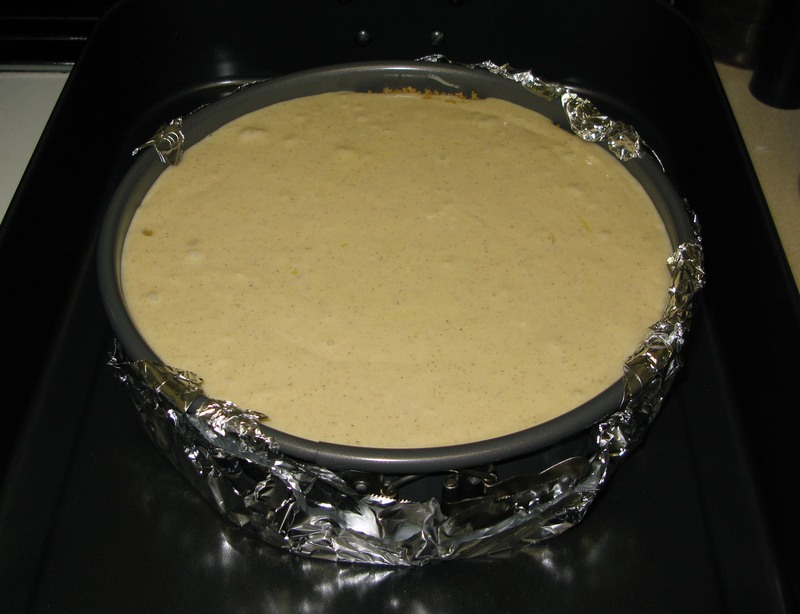 Place the cake pan inside a high-sided roasting pan and add 1″ of hot water to the roasting pan. [This is why we wrap the springform in foil-to keep the water out.] I find it easiest to place the roasting pan onto the oven rack before adding the water, as it is much easier to pour water into a roasting pan that’s already halfway into the oven than it is to move a roasting pan with water in it from the counter or stovetop down to the oven rack without making a mess and having a small heat attack. Bake the cake for 60-70 minutes, or until the top looks matte and the center is mostly set (it will still jiggle a little). Immediately (and CAREFULLY) remove the cheesecake from the water bath and place it on a folded towel. Remove the foil from the pan as soon as it is cool enough to handle and discard. 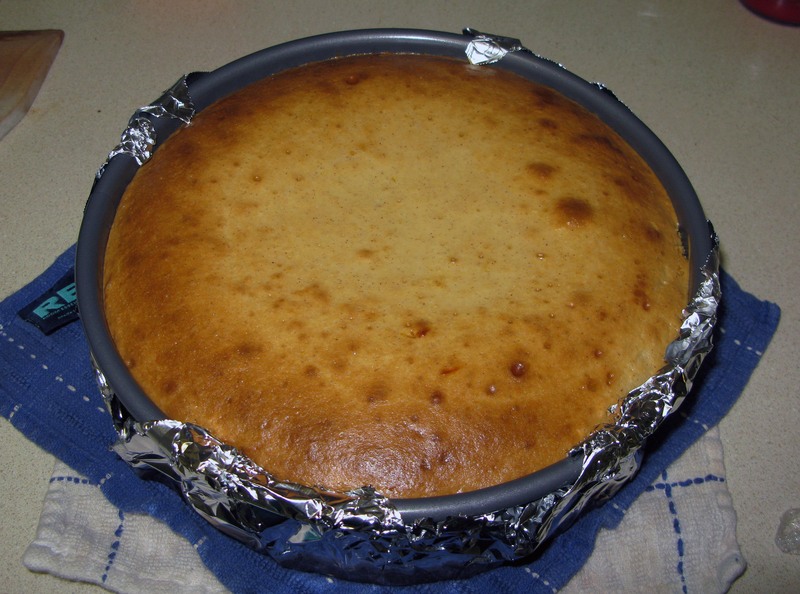 Leave the springform on the towel to cool for 10 minutes, then run a sharp knife around the inside edge of the cake pan to loosen the cake. 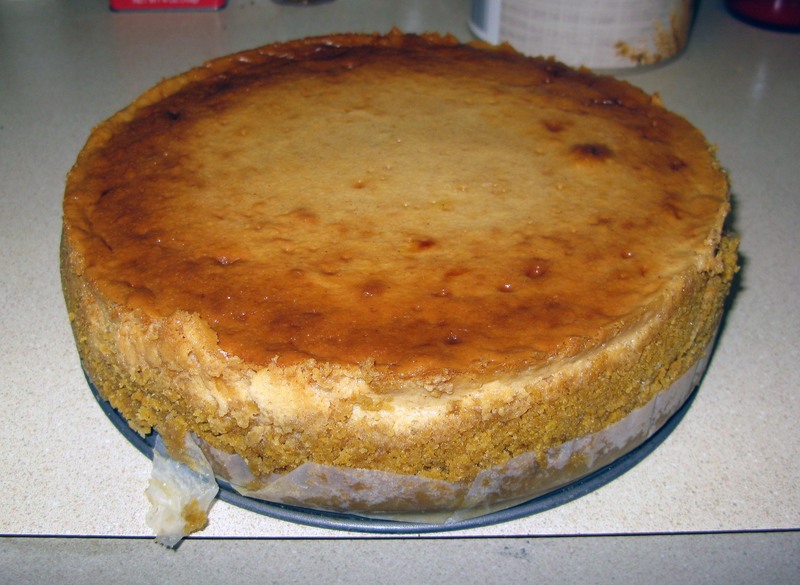 Cool your cheesecake on a cooling rack for another hour, then refrigerate the cheesecake overnight to make sure it fully sets. 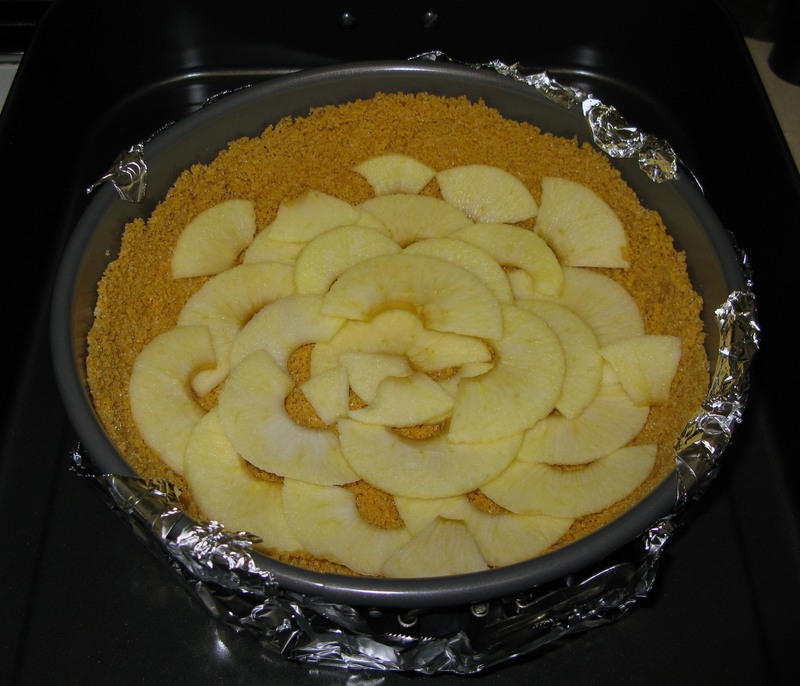 While your cake is cooling, prepare your remaining apple slices for the topping. Melt the butter in a large skillet over medium heat. Add the apple slices and sprinkle them with the remaining cinnamon. Fry the apples until they are softened, about 5-7 minutes. Let the apple slices cool, then transfer them to a container and refrigerate them as well. When you’re ready to serve your cake, remove it from the refrigerator and carefully remove the ring of the springform. You can serve it on the bottom of the pan, or you can transfer the cake to a serving dish if you thought ahead and lined the pan with parchment paper as suggested (don’t forget to peel the paper off the bottom). Arrange the fried apple slices on top of the cake as desired. You may need to microwave them for about 30 seconds to make them easier to separate, but they shouldn’t be too hot. Pour the remaining ¼ cup of honey all over the top of the cake (I microwaved this for 10 seconds to make it flow easier, but I don’t think it was strictly necessary). Slice, serve, and refrigerate any leftovers (I kid, there probably won’t be any leftovers).